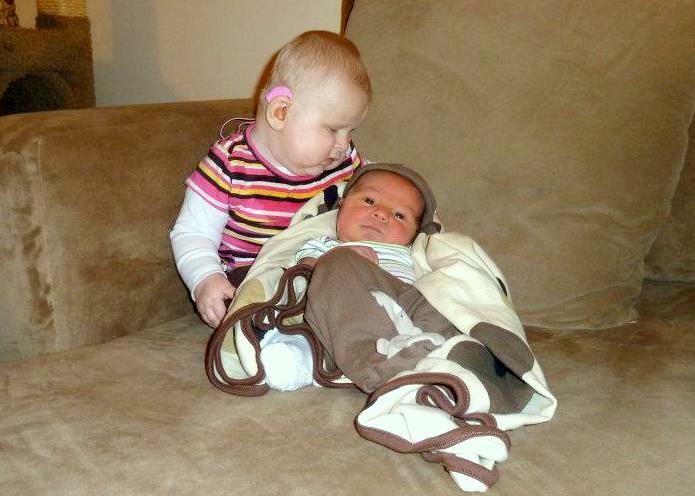 Scarlett and Caleb are not sure what to make of each other. Cutest picture ever! I love it...I can't believe how big she looks next to him!! Sweet babies! Scarlett is going to make an awesome big cousin!! :) She looks great! And Caleb is a cutie patootie!! So sweet! What fun they will have together! Ha ha, that is too cute! Wow she is getting so big mama! what a big girl! So very sweet and well especially dramatic, too. All the best to both.